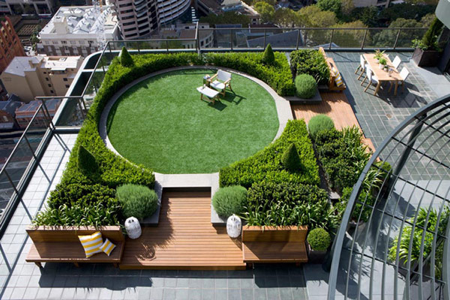 Living high atop an urban jungle can be a wonderful experience. The cosmopolitan life can be wonderful, between living in a high rise condominium to enjoying the benefits of a city lifestyle. 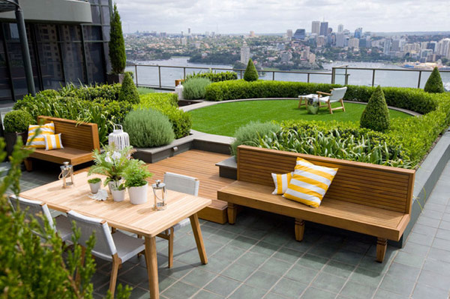 One part of city dwelling that homeowners miss is the connecton to greenery and relaxing out in the sun. 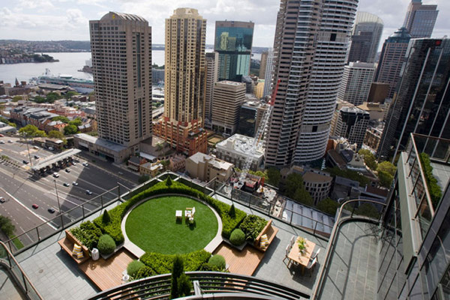 Here is a wonderful example in Sydney, Australia of a rooftop garden that will help reconnect to Mother Nature again. 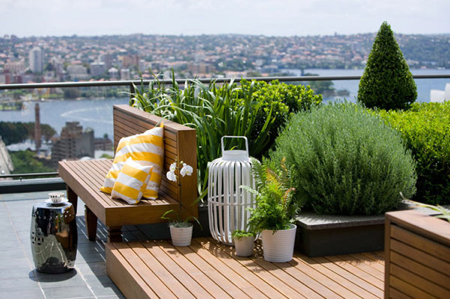 Secret Gardens is a landscaping company that specializes in beautifying the outdoors, especially in unconventional spaces. 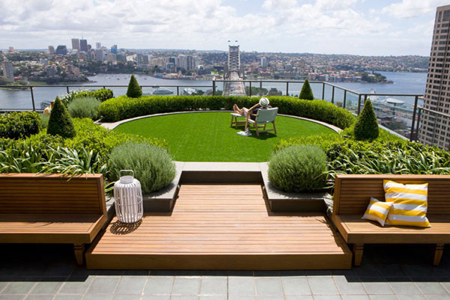 This rooftop garden sits high above Sydney, for only its residents to enjoy. JAMES BOND KNOWS HOW TO LIVE IN STYLE! 10 GREAT REASONS TO VISIT GREECE THIS SUMMER!